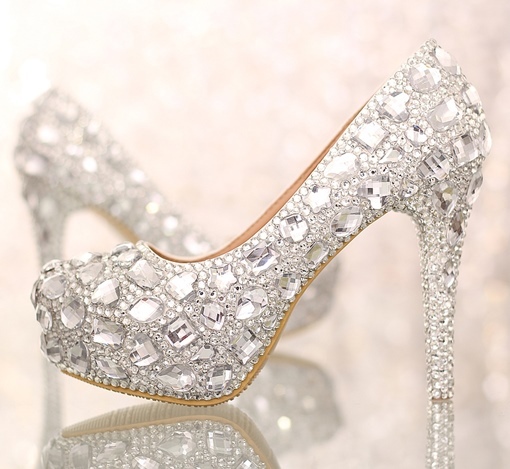 Women have inherent love for beautiful shoes. 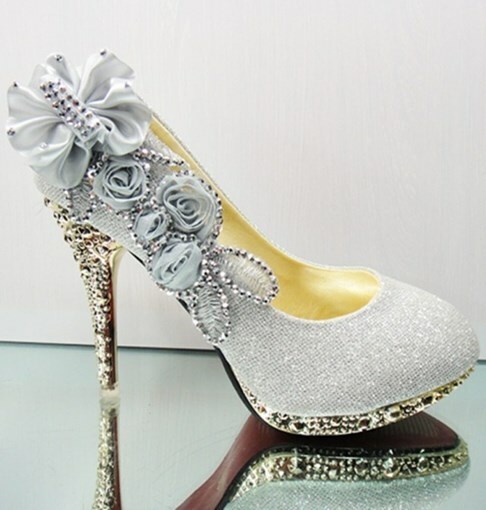 Women are just crazy about shoes. 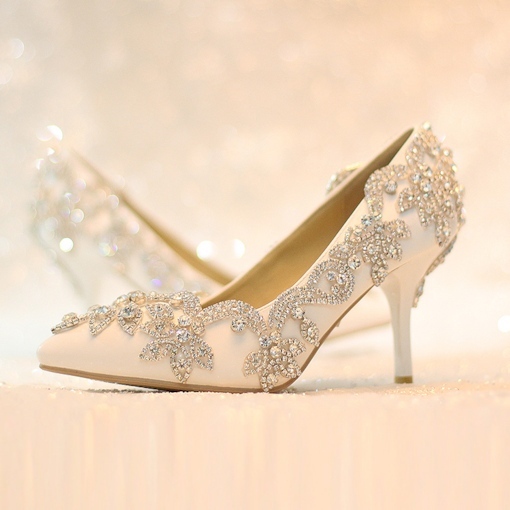 All women dream for a perfect pair of shoes. 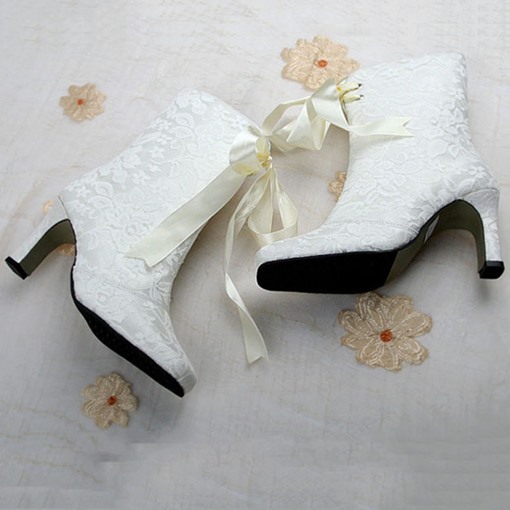 If you have a fantastic wedding dress, then you need a high class shoes to match it. 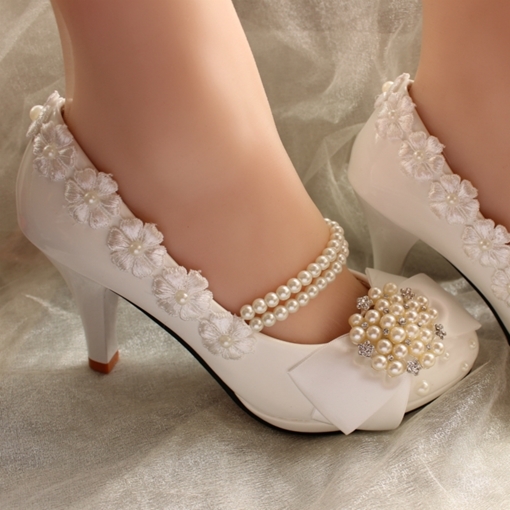 An appropriate pair of shoes are the key to adding charm and beauty to you. 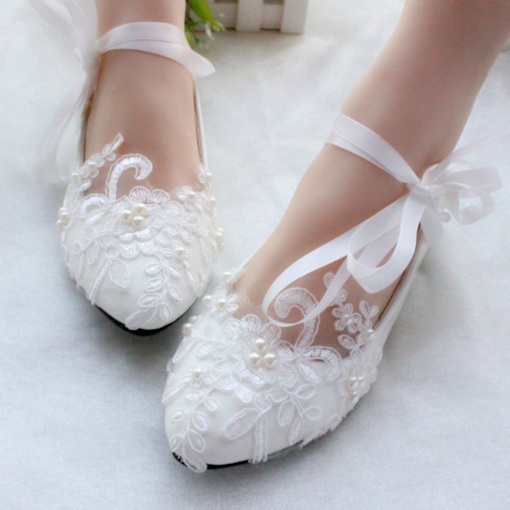 Be nice to your feet! 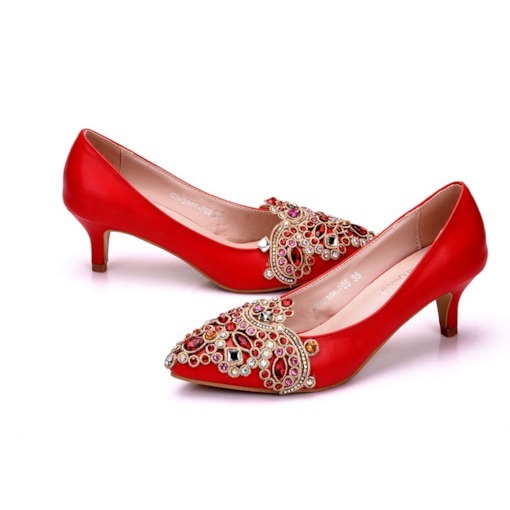 Find in this page a good companion for your feet. 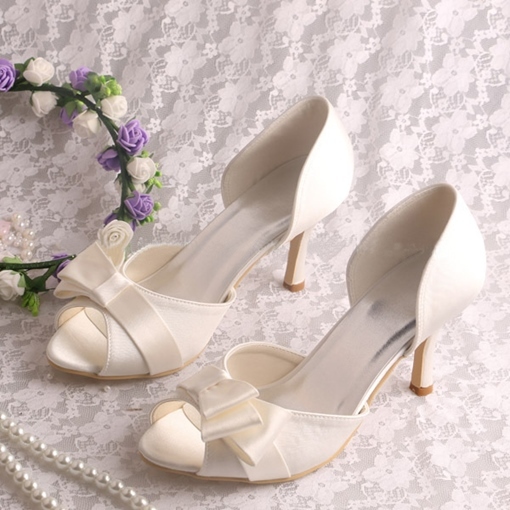 There are so many kinds of shoes here for you to choose. 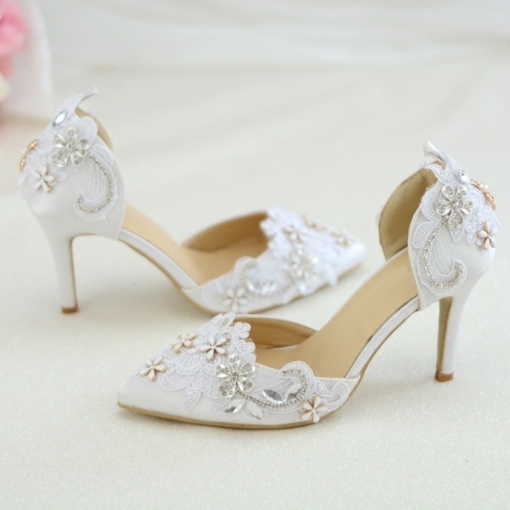 Different styles reflect your different and unique taste and temperament. 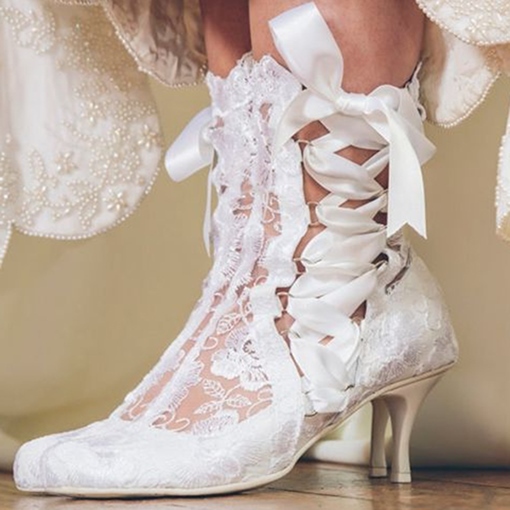 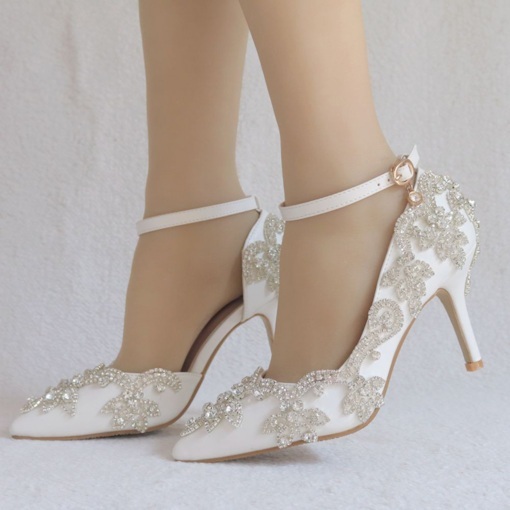 For elegant and graceful women, the fashion shining bowknot wedding shoes and the elegant white lace rose flower peep-toe wedding shoes may meet your needs. 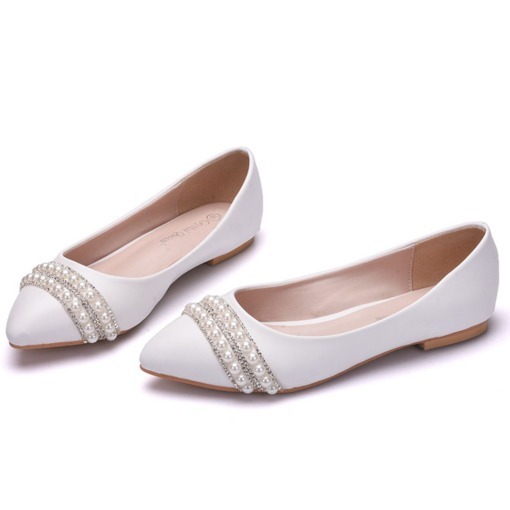 For cute and small women, the honey satin round toe stiletto heels prom shoes and the elegant pearl high heels women pumps may be your choices. 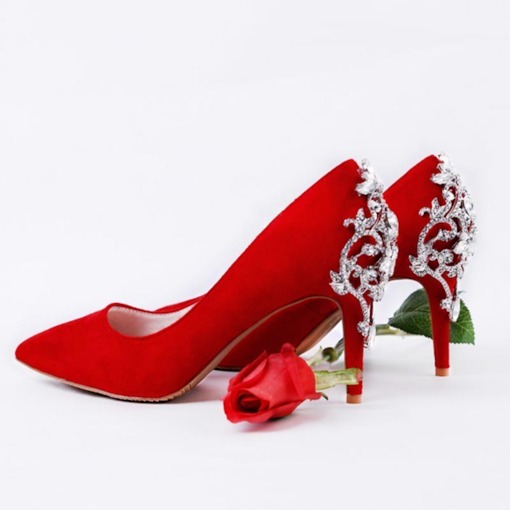 There are also many different styles here such as the flat shoes, high heels, platform stiletto heels closed toe shoes, PU pointed-toe stiletto heels and so on. 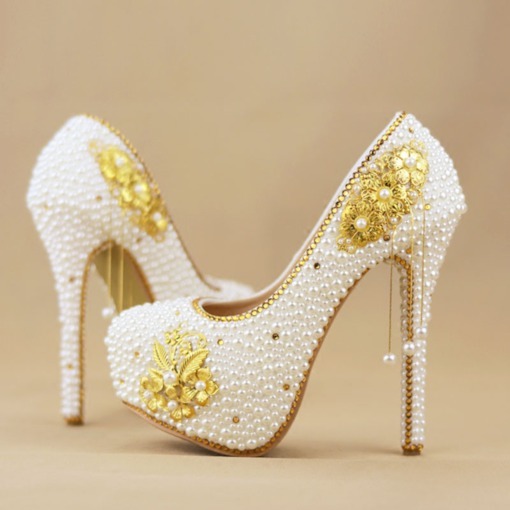 All of these shoes are the latest and made of high class materials. 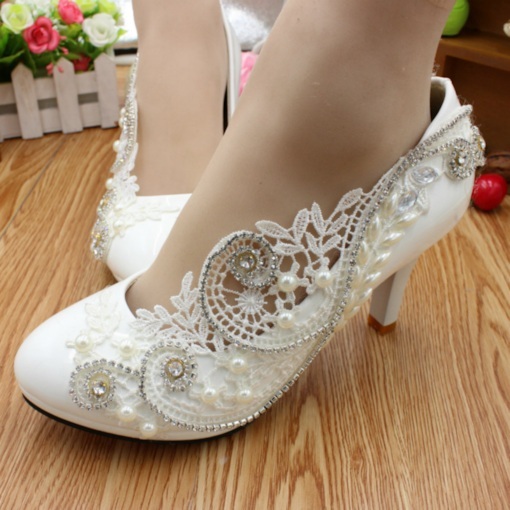 They not only protect your feet but also add elegance and beauty to you. 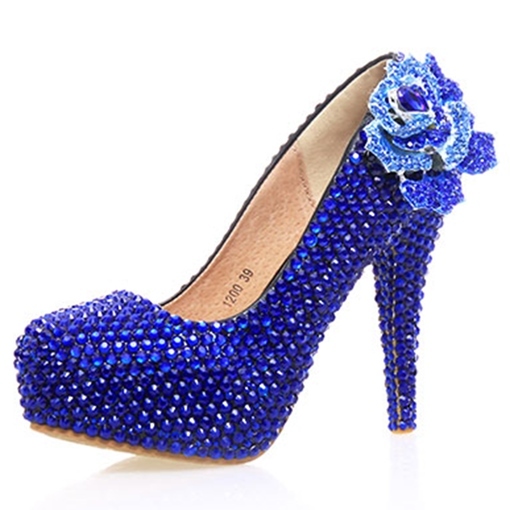 Now don't hesitate to find one pair of shoes you like!